Three years ago, she showed up after school at the basketball court at Regis Jesuit High School in Aurora with intentions of perhaps playing on the team. Truth was, she had never played, but the game and what was happening sure looked like fun to her. 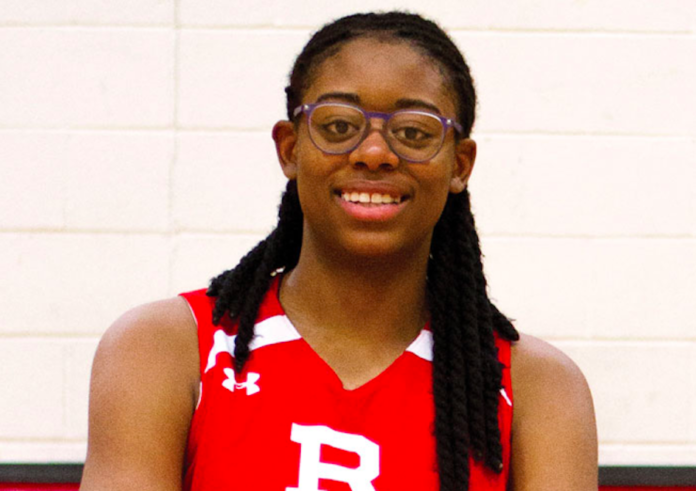 On Monday, she announced her commitment to attend Stanford at the beginning of the 2019-20 school year and play for the Cardinal. Not bad for a kid whose mother wasn’t going to allow her to play. 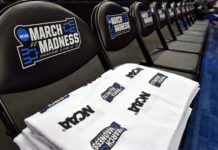 In between, there have been multiple awards, Continental league championships, state tournament games, including the Colorado big-school final, attention from national teams and interest from virtually every major women’s program. And, oh, yes, she’s the schoolgirl player who first dunked a Nerf ball at practice, then became the first in state history to dunk during a game, so the ‘oohs’ and ‘aahs’ have been echoing well beyond the Rocky Mountains. Indeed, Francesca Belibi, a couple of days shy of finishing up her junior year, has come a long way, but the biggest thing for Raiders coach Carl Mattei is what lies ahead of her. 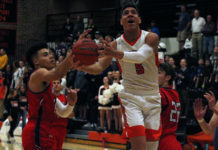 The past season, the 6-foot-1 forward, ranked nationally by ESPN as well as a candidate for the USA U-17 team, averaged 13.7 points, 8.3 rebounds, 2.6 steals and 1.6 blocks as the Raiders went to the Class 5A title game and finished 24-4. However, Belibi, who also has a 4.0 grade-point average, is about more than numbers. Belibi could have named her school. Ultimately, her considerable list was whittled to four, including Harvard, Notre Dame and Princeton. Her parents are doctors – Dr. Frank Belibi is a kidney doctor who also deals in internal medicine, and Suzanne Belibi, who first questioned her daughter’s participation, is a pediatrician. Fran said she also wants to become a pediatrician “because I like kids,” and the sometimes numbing, relentless process was in full swing, yet simplified by the group. The Cardinal was the clear winner, they decided, although Fran said she remained in disbelief during much of it. “I never thought I’d be good enough to be able to do this,” Fran insisted.